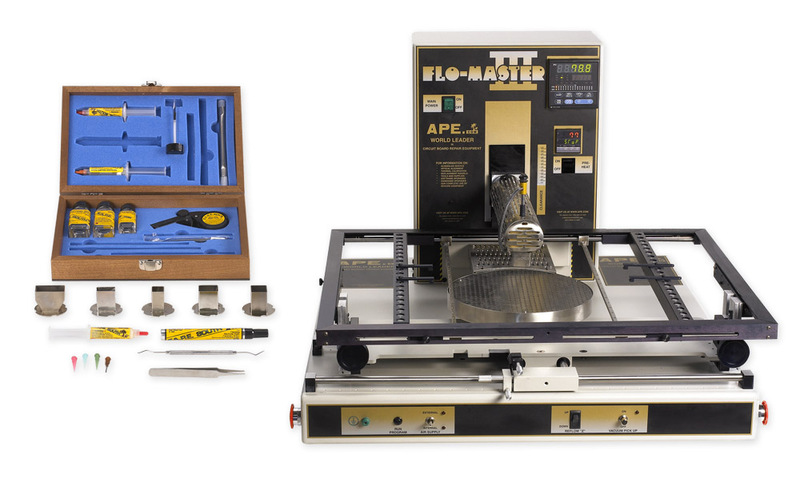 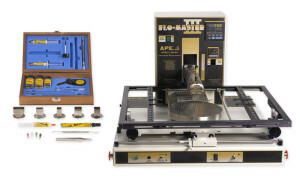 Flo-Master III SMD-5003 | Welcome to A.P.E. 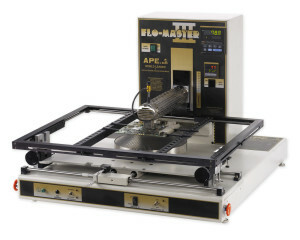 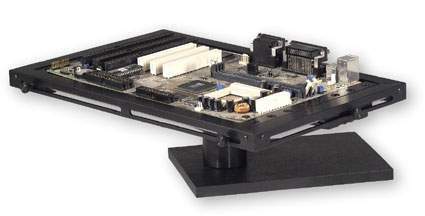 The third system in the Flo-Master family is the Flo-Master III. This machine is designed for the largest PCB types, which require extreme high energy bottom heat to assist in low temperature reflow. 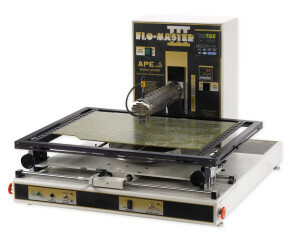 Flo-Master IIIThe Flo-Master III includes a 12″ x 12″ (305 x 305mm) 3600 Watt Forced Air Convection Bottom Heater providing sufficient energy for very large boards 20″ x 24″ (508 x 610mm). 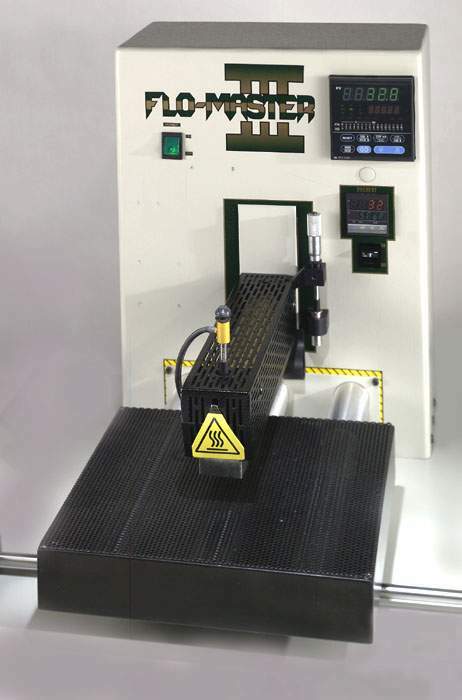 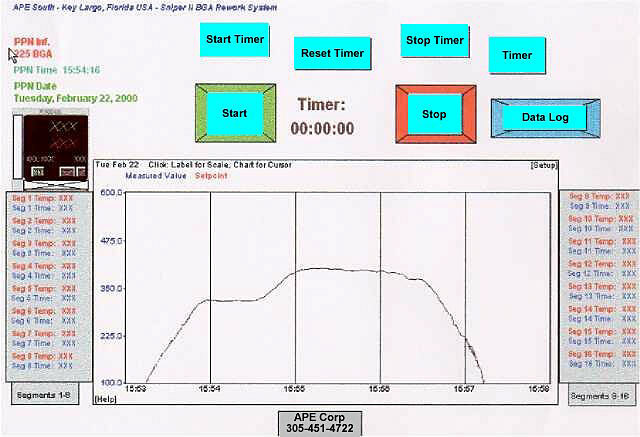 Optional internal vacuum and electric z-axis available. 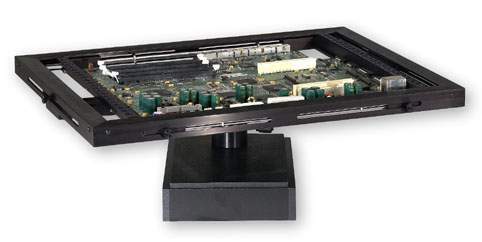 5003-1002-E Flo-Master III 220v Panel Heat Unit Includes: Power Supply 220v, Reflow Head with 3.000″ of Z-Axis Electric Travel (1200watts), Integrated Panel (12″ x 12″) Pre-Heat System (3600watts), Digital Controller with 16 Profiles Storage (16 Segment/Zones per profile), Optional Software for PC Driven operation with unlimited profile storage (not included), 16″ x 20″ Frame Holder on linear rails, Self-Contained Vacuum IC removal device, SMD Tool Kit, Halogen Light w/ mounting bracket, Chipmaster T and Sniper Demonstration video, Foot Pedal, Power Cord, and six (6) user-selected Reflow nozzles.